The early settlers of Doyle Township worshipped in a log school house close to where the Gregg Chapel Church was built in 1897 (section 27). I have been told that worship services were held in the log school house back as far as 1859. One log school house burned and another was built. In 1897 the school was moved to the place where the old Doyle #6 was located. It was at this time that the church was built. It was a United Brethern Church and the circuit was Beaconsfield, Gregg and Round Knoll. The parsonage was at Beaconsfield. Mr. Gregg gave the land for the church and cemetery. The cemetery was started before the church was built. 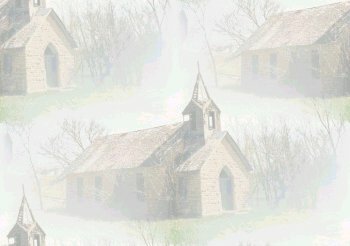 The church continued until 1930 when there wasn't enough interest to keep it open and it stood idle until 1953 when the conference decided it should be dismantled and a room the same size as the church was built on the United Brethern Church at Clio near Allerton, Iowa.